If you're ready for Nintendo's newest console, here's how you can get in on the fun. The Nintendo Switch is finally available for preorder, and you can get your hands on one right now. If you're looking for the best way to preorder the console, here is how you can go about doing so. When does the Nintendo Switch release? Last night during a special presentation, Nintendo detailed the upcoming Switch's release information. It's slated to come out on March 3, 2017, which marks it about 14 days sooner than what rumors and preliminary reports had us thinking. How much does the Nintendo Switch cost? You'll be able to purchase the system for $299 USD. If you want to pick up additional Joy-Con controllers they will run you $79.99 for another pair. You can also purchase the Pro Controller for $69.99. What does the Nintendo Switch come with? You can choose from one of two bundles: a gray version where both Joy-Con controllers are the same color, or neon blue and red Joy-Con controllers that flank the system. The Switch console itself is still gray, though. So far, it has not been announced if there will be a game packed in with the Switch, but it doesn't appear to include one at present with the preliminary information we've been given. Where is the Nintendo Switch available for preorder? Right now, the Switch is listed on Amazon, Best Buy, and Walmart online. You can preorder online via Best Buy or Walmart, but as of the time this article was written the Amazon preorder link is not yet live. You can still bookmark it for when that happens, however. Follow this link to preorder at Amazon. Best Buy is offering both the Neon Joy-Con version of the console and the regular model. Follow this link to preorder at Best Buy. Walmart is offering the regular version of the Switch with regular gray Joy-Con conrollers currently. Follow this link to preorder at Walmart. If you prefer to go to a brick and mortar store, you can head to GameStop and Best Buy, both of whom seem to be taking preorders in person if you're lucky enough to get one reserved. You will need to pay a $50 reserve fee to lock down your system at GameStop, who is reportedly taking limited numbers of preorders. 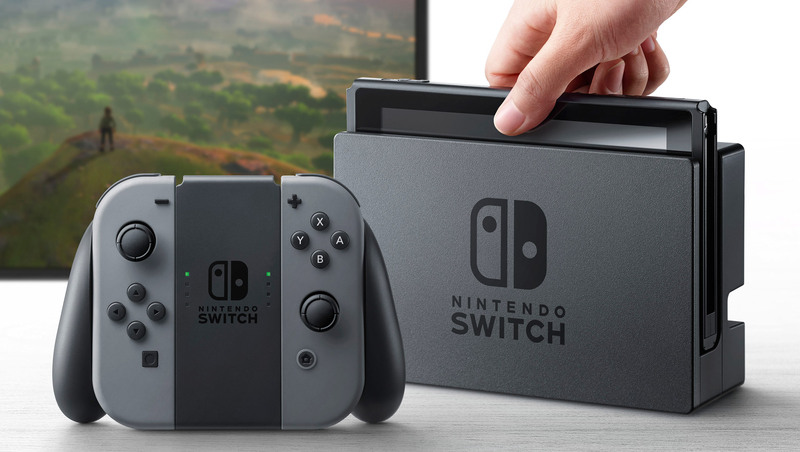 This page will be updated as additional information and preorders go live, so keep checking back for more information on how to preorder your Nintendo Switch well ahead of its March 3 release.